World's Greatest Dad isn't just a slogan for mugs and tee shirts. My kids have an awesome dad who supports them, cheers them on, cheers them up and is a great role model. They're also lucky enough to have THREE Grandpas--Gramps, Grandpa Leo & Pop Pop! My 11 year old daughter is such a Daddy's Girl she's doing team gymnastics like he did, wants a motorcycle & a metal sword (like he had), loves 80's punk, wears his high school gymnastics team jacket, and tells people "just call me lil' Dug." In honor of the favorite dads, Granddads and male role models in your kids' lives, we've got a host of hot gift ideas from Best Buy for Father’s Day. Disclaimer: ChiIL Mama is elated to be part of the WOLF (Women's Leadership Forum) and partner up with Best Buy again. The reviewer has been compensated in the form of a Best Buy Gift Card and/or received the product/service at a reduced price or for free. Do you love twitter parties? 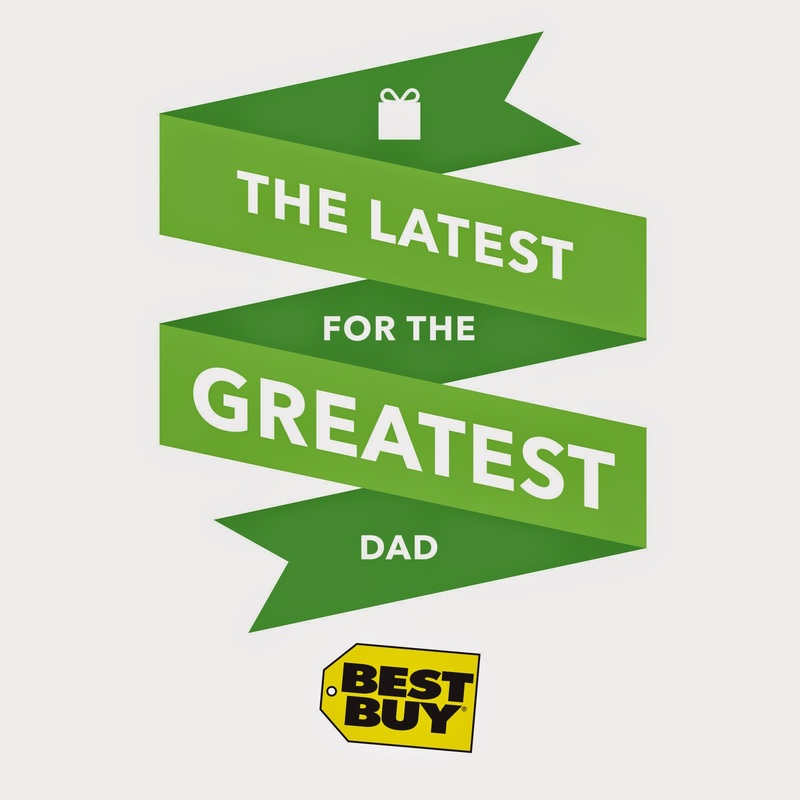 Best Buy is hosting two Father's Day Twitter Parties on Thursday June 5th at 7:00pm CST and Wednesday June 11th at 11:00am CST. Feel free to join one or both of these parties for a chance to receive Best Buy gift cards and other great products. 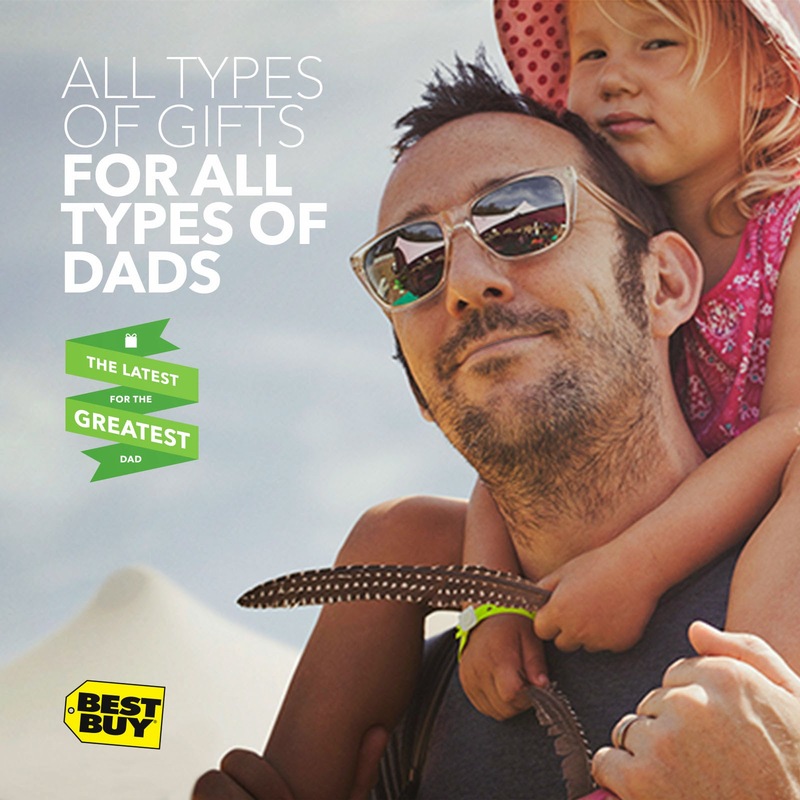 Tweet #GreatestDad with your favorite Father's Day Gift ideas from Best Buy. What kind of Dad do you and your kids have? Is the Dad in your life the one who brings the game home and turns the party up? Or, cutting edge, always On-The-Go – not just keeping up but keeping ahead? Or, maybe the Dad that cherishes every day, and captures every moment? Relate to any of these personas? Check out our easy gift ideas lists below and at the Best Buy Gift Center. o The Entertainer: Gifts for the Dad who aspires to set up the ultimate man cave complete with gaming, sports, movies, listing to music, or just hanging out. This Dad loves to share so it also has everything at the ready for entertaining a crowd. o Gizmo Guru: Gifts for the dad that always wants to take his tech to the next level with the latest and greatest – always connected, at home and on the go. o Memory Maker: For the Dad that makes sure that not only all the memories are captured and stored (video/photo) but keeps the family organized and under control. Gifts for him make his life easer; Dad pays the bills with laptop, videos kids, back up storage for pictures, prints out schedules for baseball practices and games, etc. My husband crosses quite a few of these categories, but I'd have to go with Entertainer first. He works in the TV industry and love to relax with a beer and a movie, hockey season, or video game with the kids. We've highlighted our personal favs below. Large Full Motion Mount for TVs 32"-60"
GoPro HERO3+ Black Edition Action Camcorder. Nikon D5300 DSLR Camera with 18-55mm VR Lens. Canon - EOS 70D DSLR Camera with 18-135mm IS STM Lens. Canon EOS 70D DSLR Camera with 18-135mm IS STM Lens. We've highlighted a few of our favs below. Big love for dad doesn't have to mean big bucks! Disclaimer: Once again, ChiIL Mama is elated to be part of the WOLF (Women's Leadership Forum) and partner up with Best Buy again. The reviewer has been compensated in the form of a Best Buy Gift Card and/or received the product/service at a reduced price or for free.